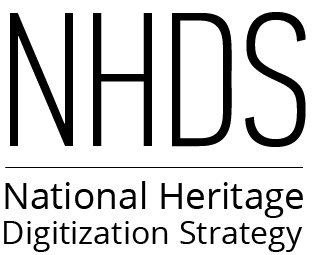 It’s been almost a year since the National Heritage Digitization Strategy (NHDS) Steering Committee was formed and a lot has happened since then. The committee thought we would update you on some of our most recent work and let you know of different ways your organizations can get involved. Newspaper pilot project – With the generous funding of the Salamander Foundation we undertook a newspaper digitization project. We consulted with organizations across Canada and are digitizing a small collection of Indigenous newspapers. We will share more news on this project soon. Content strategy – We have been working hard to develop a content strategy that stresses maximum inclusivity and access to identify shared principles and find a starting point. The draft strategy will be ready to be shared soon. Rights statements – This spring the NHDS joined an international consortium on RightsStatements.org led by DPLA and Europeana. We are working with them and representatives from Australia and India on ways to make the statements more global and test their applicability in Canada. Discovery tool – We have developed a prototype discovery tool to help identify and find digitized material across the country. The prototype is still in development but will be shared with the community for feedback in the coming months. Funding – We have secured some funding from the private sector and continue to explore more funding opportunities. Spreading the word – We’ve also been making presentations and talking to people to try to gather input and support for the strategy. This summer your organization may have been contacted to pledge your interest in the strategy to help attract funding. As of September, 46 organizations have pledged their intent to partner with NHDS. If you would like to do the same, please visit our online pledge form. In the coming year, we will be furthering this foundational work and also exploring new funding opportunities, gathering and sharing best practices and identifying training. You can learn more about where we are by visiting our planning website. If you have any questions about our work or would like to get involved, please contact us.